In a smoke-filled room, I drew from a fruit infused hookah – pineapple. The atmosphere was upbeat, as we sat back in a lounge setting while ordering from a Turkish menu. 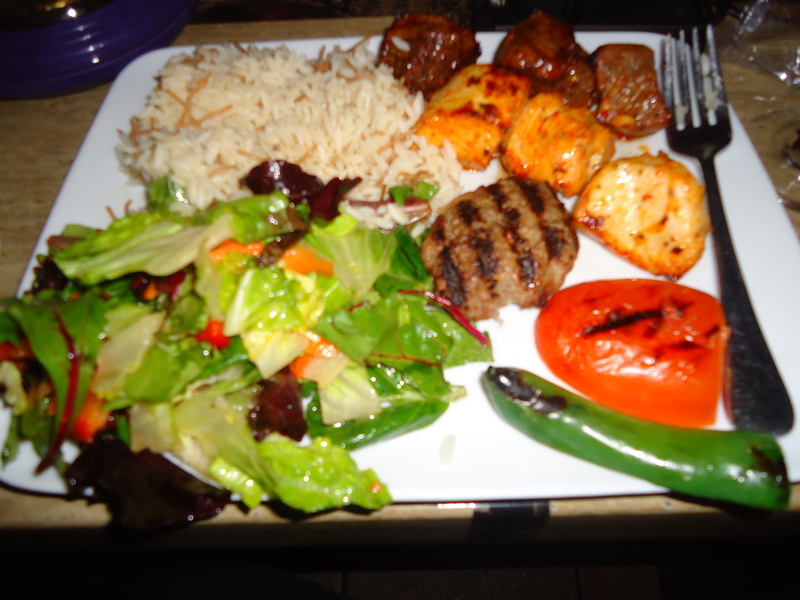 I ordered a combination of grilled kebabs, which included lamb, beef, and chicken. On the side was salad with tangy vinaigrette and a delicious rice pilav. I opted for a white wine that evening. I made sure to ask the hostess that the wine not be dry. I don’t like dry wines. She suggested a Riesling, after one taste, I was happy with her suggestion.